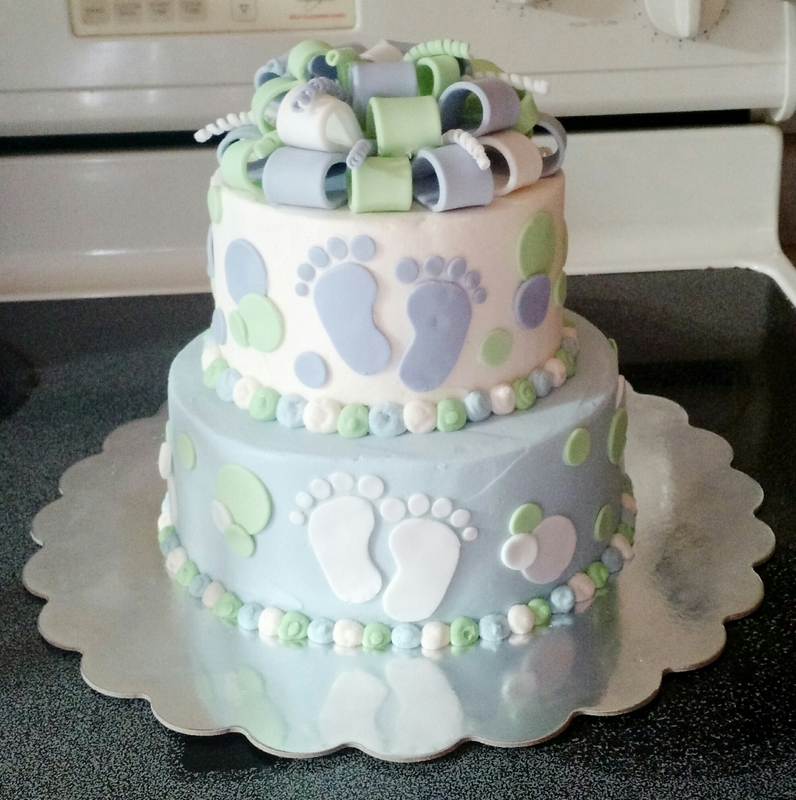 An 8″ cake iced with vanilla buttercream. 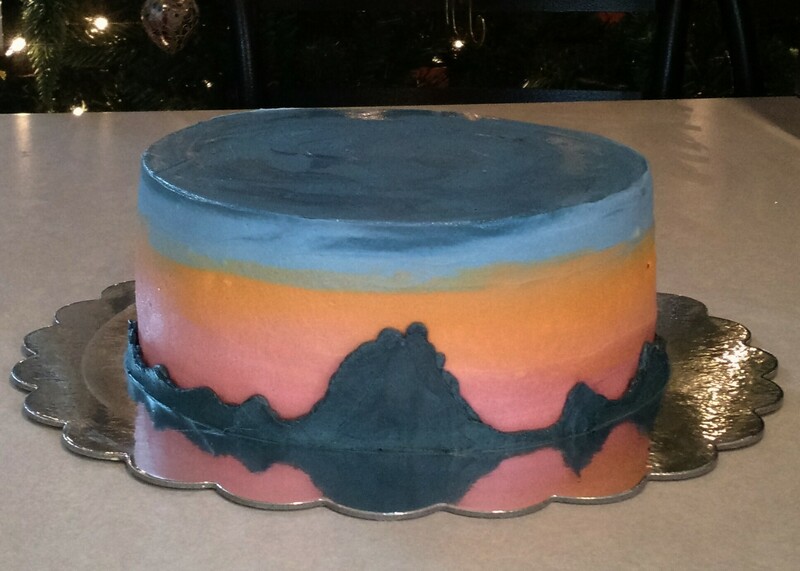 All decorations are buttercream. It is a sunset behind House and Barn mountain in Virginia. 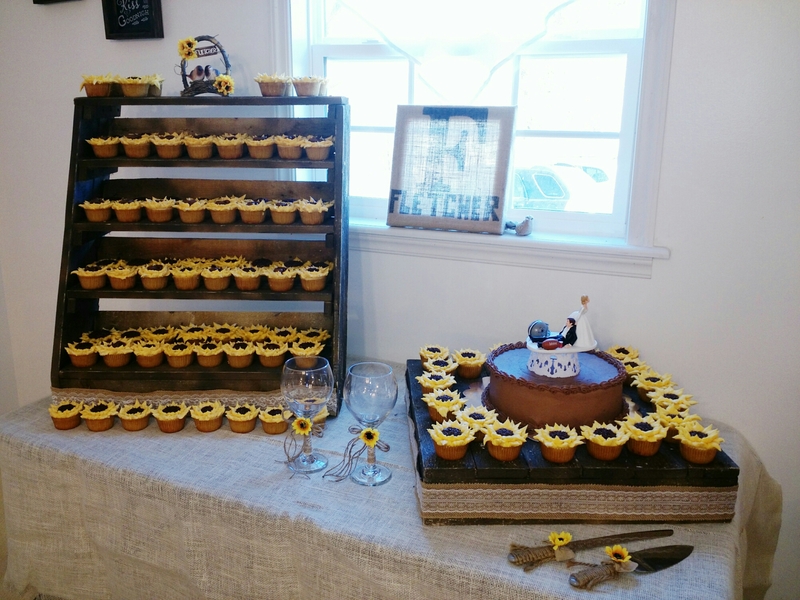 A 10″ chocolate cake iced with chocolate buttercream and 100 vanilla cupcakes iced with vanilla buttercream to look like sunflowers!